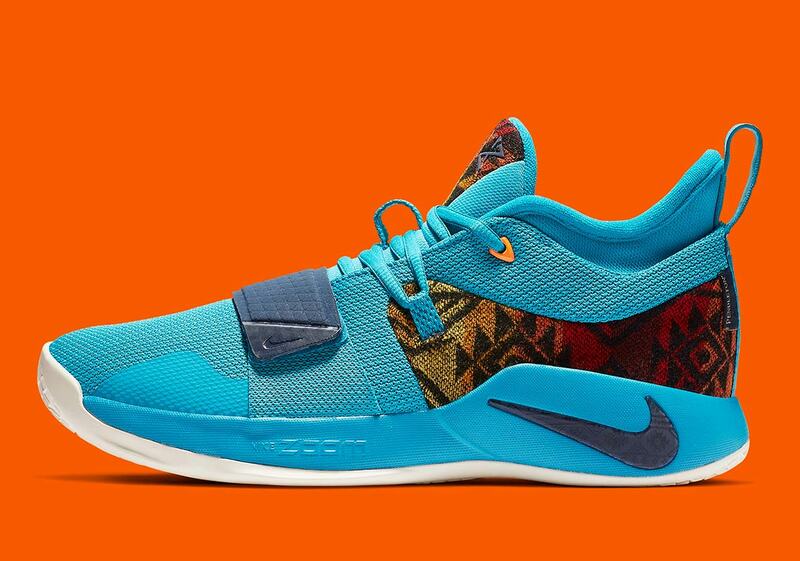 Although Nike usually calls upon luxurious Pendleton wool to create cozy lifestyle silhouettes, the patterned material now has a new home on a performance hoops sneaker: the Nike PG 2.5. 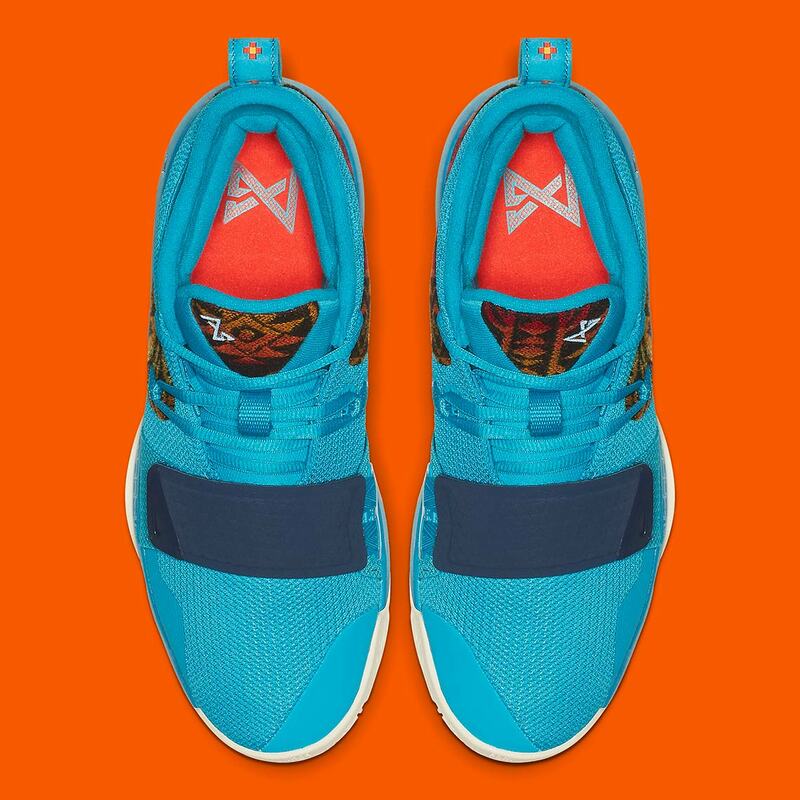 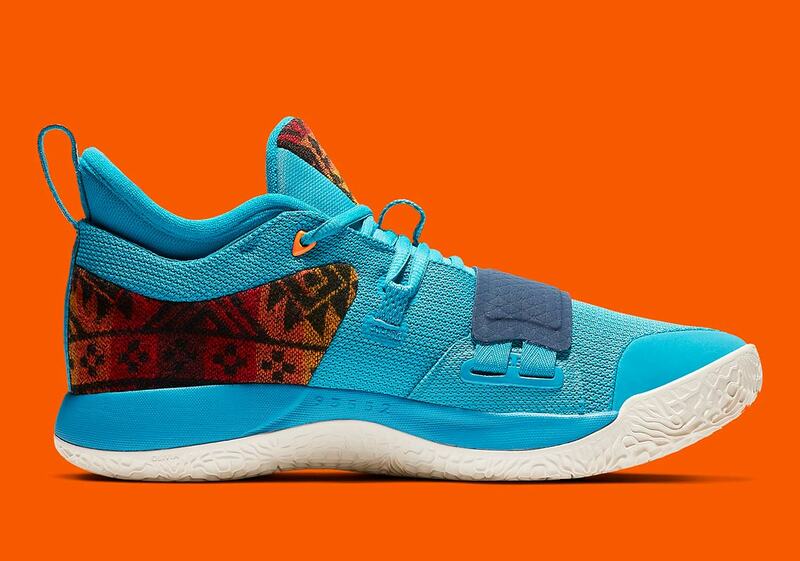 Originally debuted by Paul George during a November 24th game against the Denver Nuggets, these new PGs — a perfect match for the Thunder’s City Edition jerseys — feature a sky blue base while special patterned Pendleton hits that feature black, orange, and red tones arrive on the midfoot, heel, and tongue. 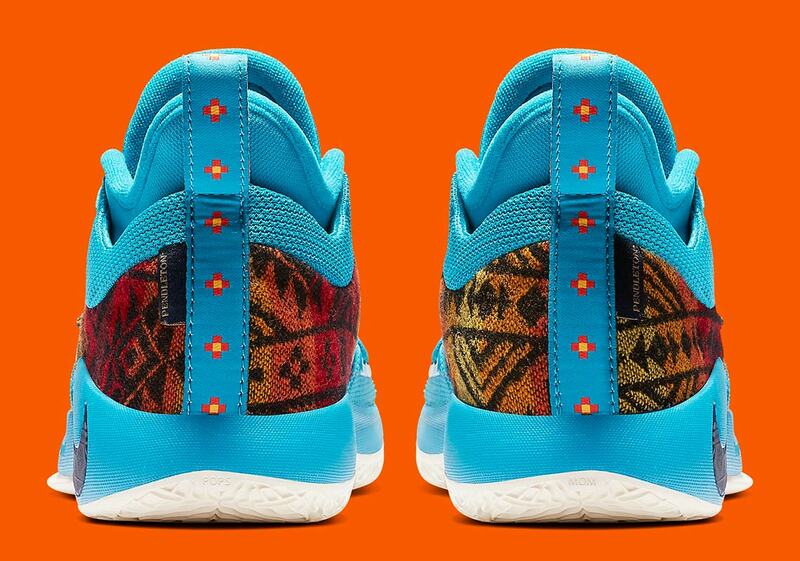 Finishing details are then provided via a Native American-style print on the heel tab and a dark navy forefoot strap/backwards midsole Swoosh. 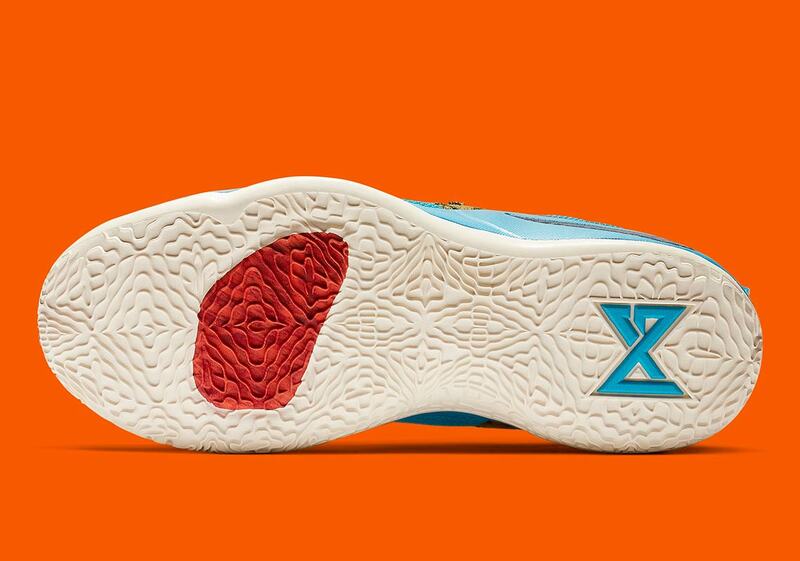 Proponent of prints, Paul George, or just simply an OKC fan and need something to match your jersey? 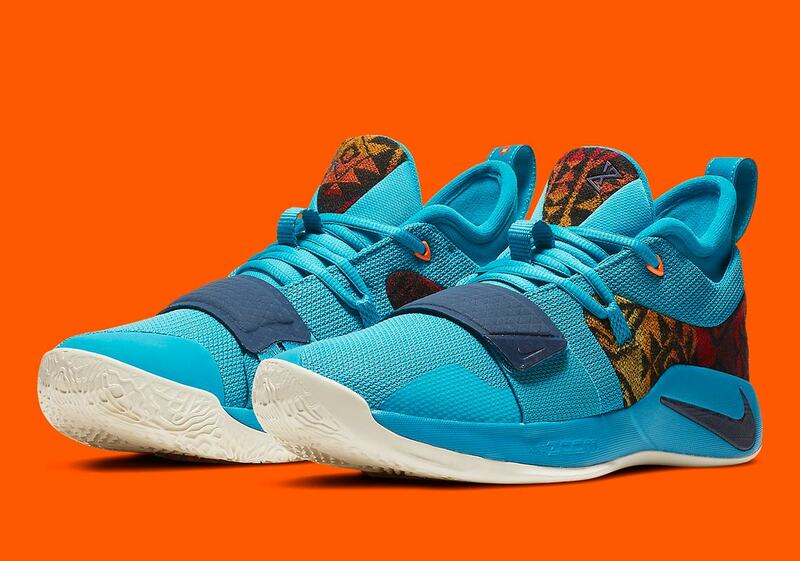 You can look for these special PG 2.5s to drop on Nike.com and at select Nike Hoops stockists December 20th for $110 USD — and also check out a full set of official images below while you wait.